Its very effective product for outdoor advertisement of products etc. Established in 2017, Anyone Ad Solution is the leading Manufacturer and Trader of Promotional Umbrella, Golf Umbrella,Folding Umbrella,Rain Umbrella,Canopy tent ,Gazebo tent, Promo Table, standee and much more. 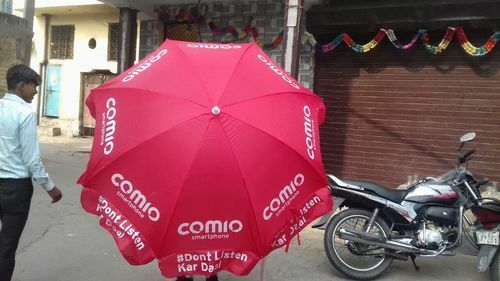 Anyone Ad Solution are the leading manufacturer a quality assured range of Promotional Umbrella, Promo Table, Gazebo Tent, etc. The offered range is well known for its durability, withstand against wind, excellent color combination, excellent printing quality, light weight and weather resistance. Apart for this, we are offering the entire range at reasonable prices.